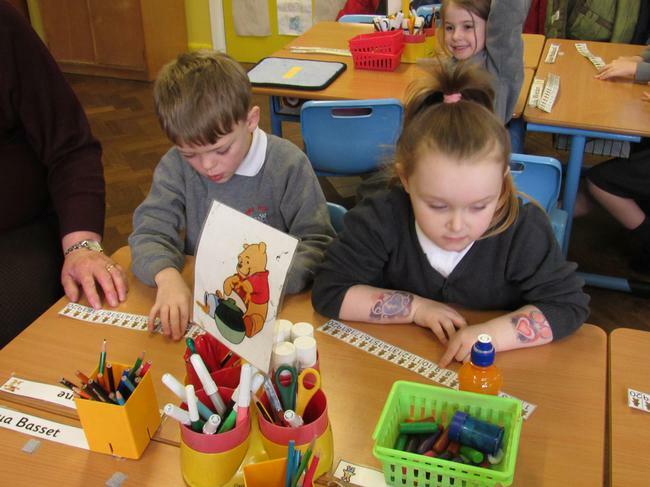 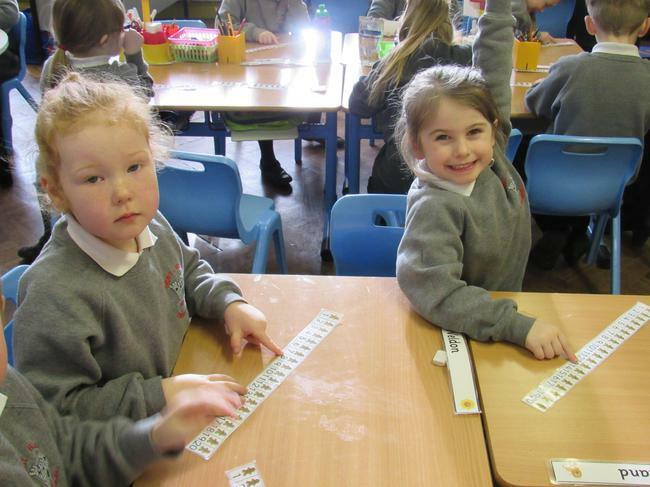 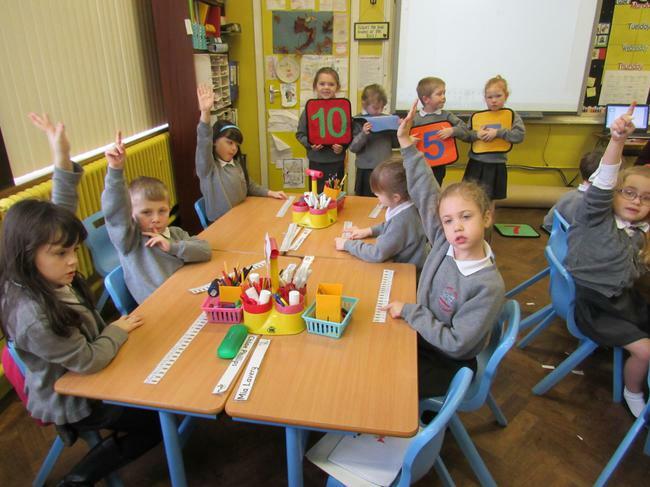 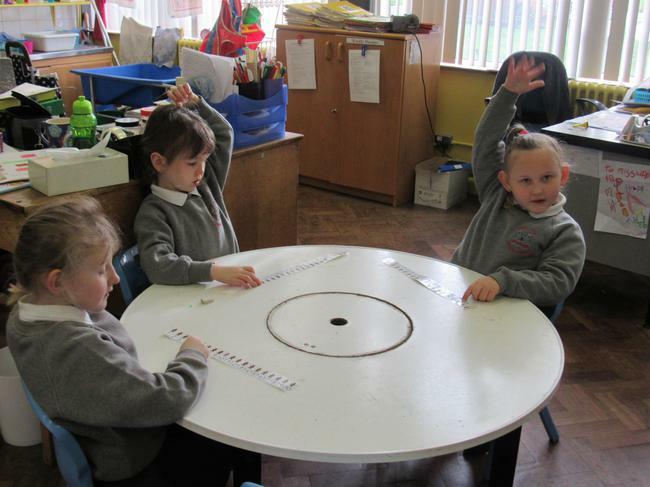 We are learning to use a numberline to do adding and taking away sums. 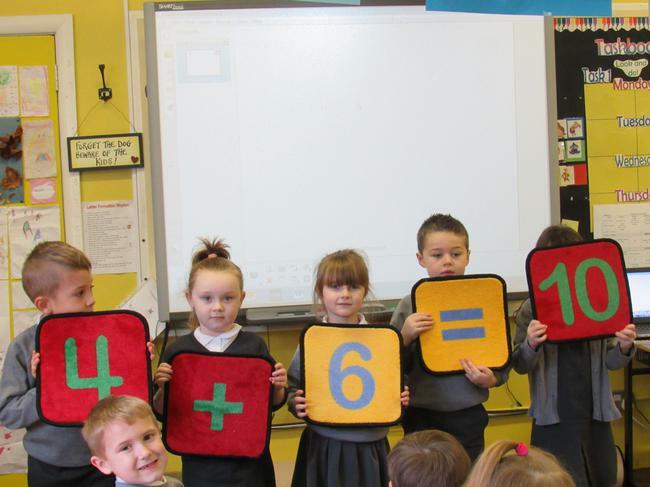 We need to look at the sign in the sum to find out if it is adding or taking away. 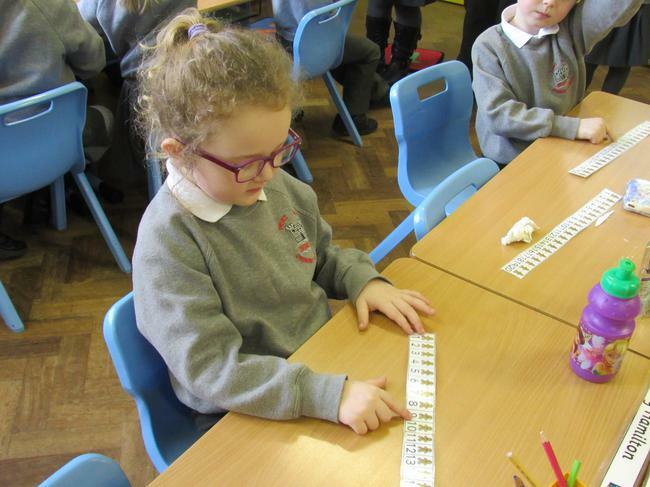 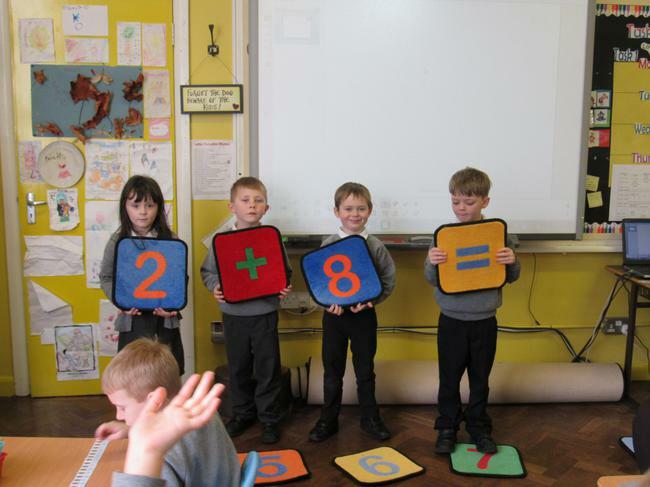 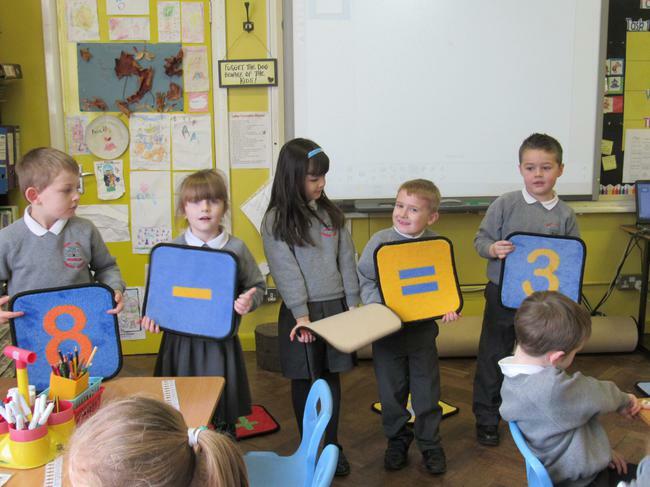 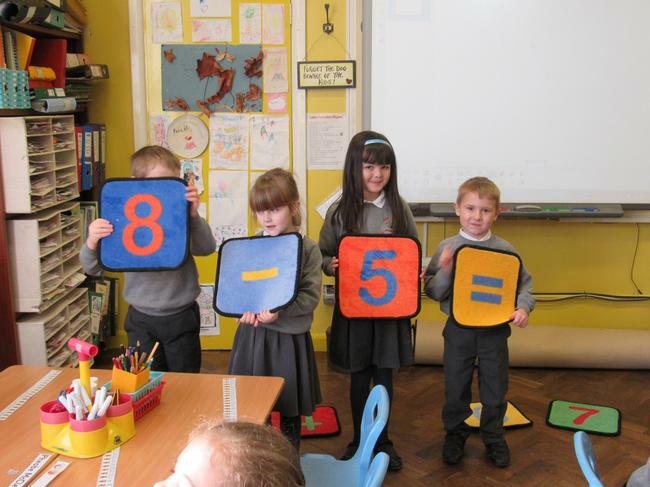 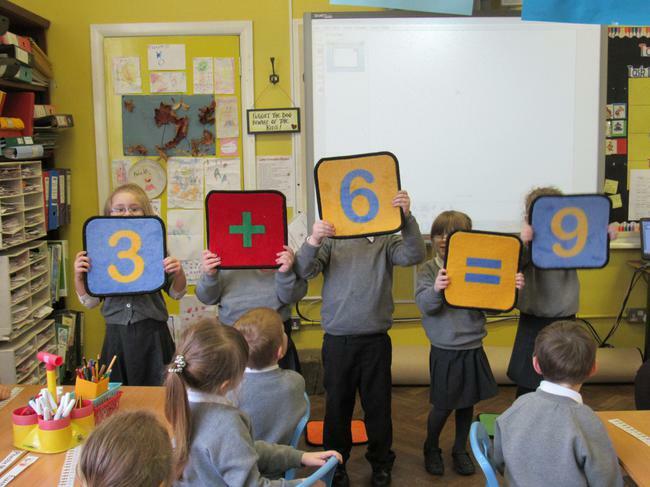 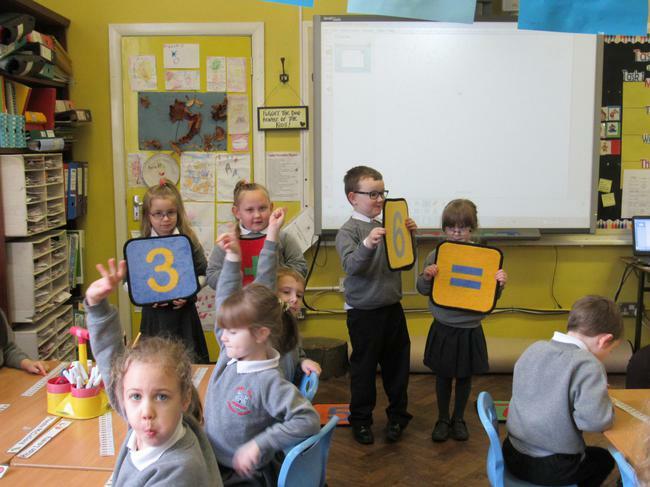 When we add the number gets bigger so we go forward on the numberline but when we are taking away the number gets smaller so we go backwards on the numberline.